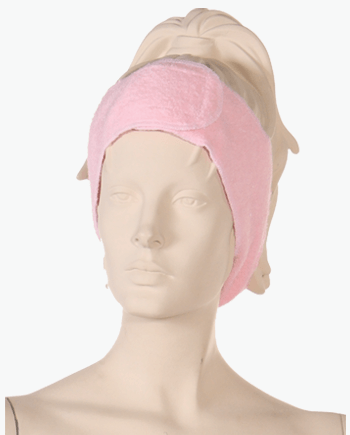 Terry cloth wide headband, one of the top quality fashion accessories, has become the topmost choice for people these days. Salonwear provides not only terry headbands but also other spa and salon products like Capes/ Drapes, Big Shirts, Caftans, Super Lab Coats etc. 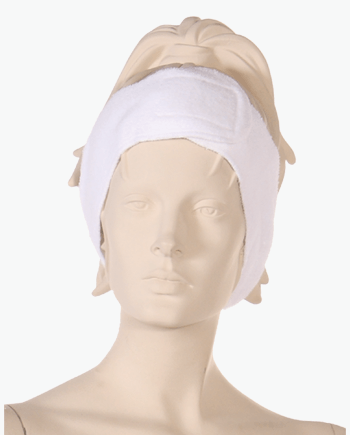 Terry cloth spa headbands, designed specially for spas and salons, are very stylish and durable. With the top quality terry headbands offered by Salonwear, your clients are sure to look simple and graceful. The custom terry cloth headbands are excelling at keeping your client’s hair out of the way while you wash, mud, and apply serum and makeup to the clients. 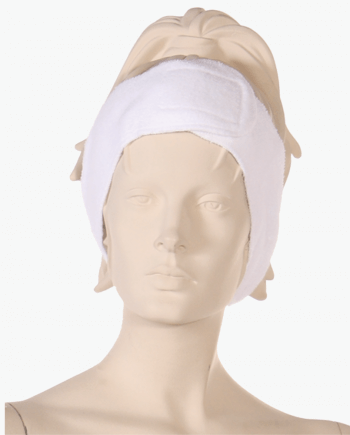 Why are Terry Cloth Headbands Important? The terry headbands offered by Salonwear ensure that the clients are comfortable and happy by preventing their hair from falling on their faces. These terry hair bands also hold the hair in a comfortable manner. The terry hairband’s fabric is easily adjustable, and hence maintains a firm grip on your hair through its self-gripping fasteners. If you own a large salon, and you wish to order terry headbands in bulk, Salonwear allows you to do so by providing cloth headbands in wholesale. You can either use them for your salon’s staff or offer them to your customers while your staff gives hair and body treatments to them. The terry headbands from Salonwear are made with top quality innovative fabric. Turban and hair wrap twist are also one of the largest selling headbands at salonwear. As mentioned, terry headband helps in holding your hair and keeps it out of the way. It does so through the adjustable fasteners. The terry headbands can be easily machine washed, and they do not need any special care. They do not require ironing, making them compatible for use almost anywhere. They are available in an adjustable size and can comfortably fit bigger size heads also. The terry headbands are available in white and pink colors on Salonwear website. This ensures your salon appear not only professional but also chic and elegant. The colors appeal to people of all age groups. We also offer customization embroidery services on headbands. You can get your logo embroidered on the custom terry cloth headbands. This not only looks elegant but also improves your brand awareness. 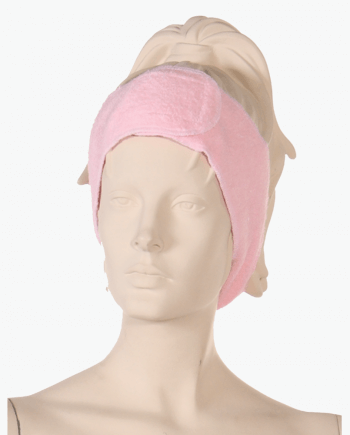 Why choose Salonwear’s Terry Cloth Spa Headbands? Thriving in the fashion and apparel industry since more than three decades, Salonwear offers its customers a wide range of products to choose from. Salonwear is a top rated and a highly reliable supplier of spa and salon apparel and accessories. Devising new and innovative solutions, designs and products on a regular basis, Salonwear is highly creative and different from other brands out there in the market. Since our inception, we have kept our focus on only one thing, i.e. to understand the developing fashion sense and growing needs of both existing customers as well as the new potential customers. We always focus on creating a unique customer experience!